Boat Life Style-Premier Marine: What's so Good about Boating? What's so Good about Boating? Whether it's pulling up anchor and listening to the motion of the ocean, laying back and making out shapes from the hovering clouds, or sharing some strawberries and champagne with a friend. Simple acts quickly become something very special when they're performed on a boat. Boating is life-changing and I see it with every single person I invite into the world of boating. For me, even if I only get 10-20mins on a boat, (which happens a lot) it still uplifts my day and I tend to see more of the simple pleasures in every day life. Boating helps me to work harder in my daily activities as it's a brilliant stress relief, as well as uplifting my entire being. 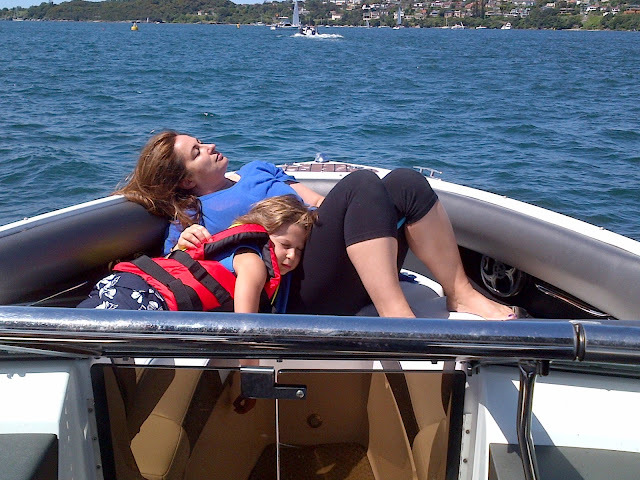 Boating has the power to bond family and friends together. I often reflect on the fact that it's one recreational activity where you can have 3 generations of family members out for a day without anyone compromising on their fun factor. The popular saying "It's all about the journey and not the destination' can be said about boating. One of my favourite experiences was launching a Regal Boat near Harrington and driving to Taree to get some groceries. Boating makes even the most mundane of 'chores' a memory that can last forever and if you see some dolphins on the way, well then, that's an added bonus to cherish. I personally know some Chris Craft owners that avoid the hustle and bustle of commuting to work and instead jump in their boat and drive into the city (there are temporary berths for hire at Darling Harbour) for their early morning meetings. What a great way to avoid the red lights, road rage and peak traffic. We're so very blessed to be surrounded by water and I truly believe Sydney is home to the most beautiful Harbour in the world! Seeing the Opera House and the Sydney Harbour Bridge by boat allows you to feel a part of this live portrait and the magic lies in the fact that every time you view it, the experience will be unique and magical and one that you will want to re-live from the moment you step off the boat. Sydney is absolutely made for boating and there are a heap of on-water restaurants and cafes that will cater to your berthing or mooring needs. Dinner at Otto? Lunch at Plonk Cafe or Fish and chips at Darling Harbour?...whatever floats your boat, there are so many activities that promise your recreational life is never going to be the same again.